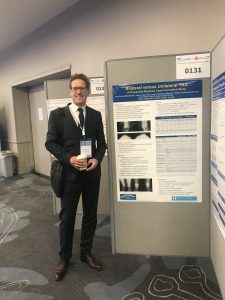 Our clinical fellow Dr Sven Putnis was at BASK 2019! 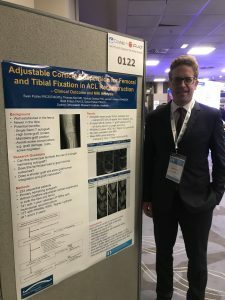 SORI’s clinical fellow Dr Sven Putnis made two presentations at the prestigious British Association for Surgery of the Knee (BASK 2019) meeting in Brighton UK last week. Sydney Orthopaedic Research Institute (SORI) is a not-for-profit organisation dedicated to the study and research of orthopaedic disorders, in particular those associated with the knee joint. Copyright ©2019 Sydney Orthopaedic Research Institute Ltd. All Rights Reserved.